The major European stock indices are closing with solid gains. Most of the major indices are over 1% on the day. In the benchmark 10 year note sector, yields are mostly higher (with Italy bucking the trend). Spot gold is down $4.72 or -0.36% at $1309.82. The low price reached $1303.72 but found dip buyers near the key $1300 level. 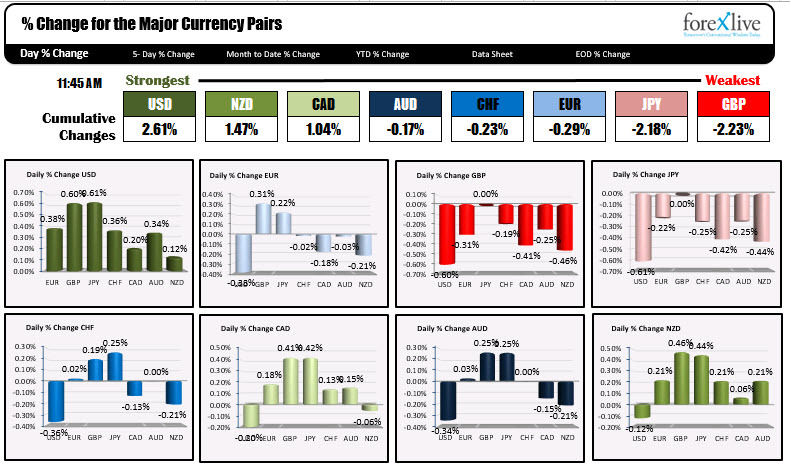 In the forex market, the USD is the strongest, and the GBP has taken over as the weakest.